This is the boat kids ages eight to 15 are first introduced to at BNSS. It is a small single-handed boat, 7.75 ft long, about 3.75 ft wide with one sail. It is the perfect boat for teaching kids to sail as it is very stable and extremely safe. 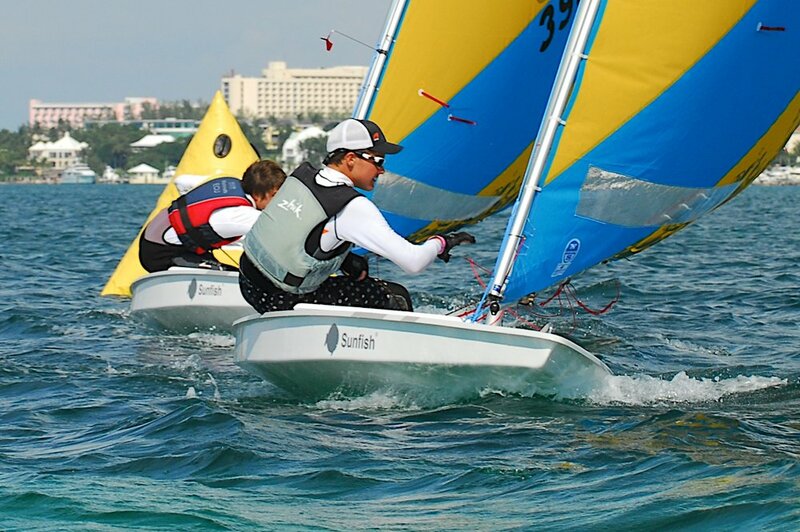 These boats provide the perfect learning platform as the decisions these young sailors make are their own and the responsibility lies completely with them as to how to get in and out of situations. The Optimist is the dinghy in which kids around the world learn to sail. There are fleets registered in more than 135 countries and in total over 270,000 boats are raced actively today. 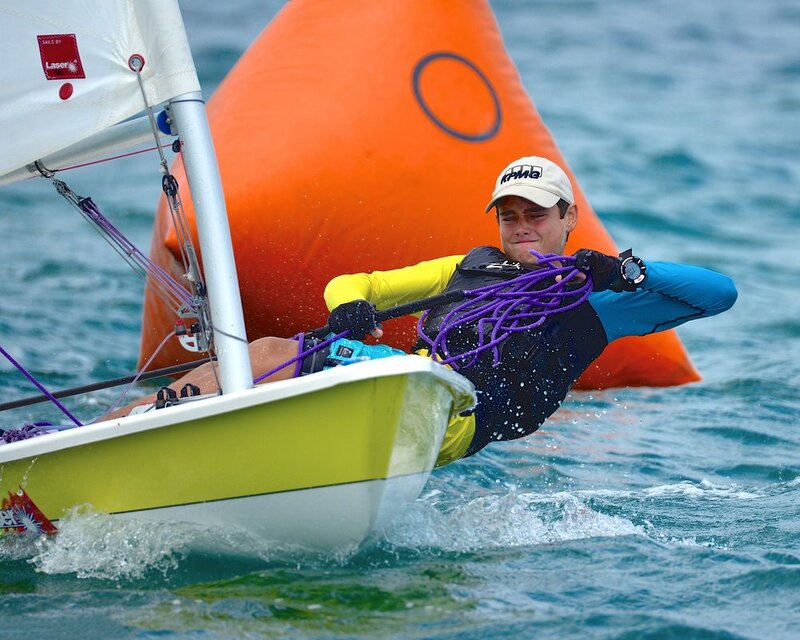 At the 2016 Olympic Sailing Competition in Rio de Janeiro, 85% of all sailing competitors started sailing in the Optimist Dinghy. If kids are over the age of 15 or too big for the Optimist Dinghy we have them start their sailing lessons in the Sunfish. This is a single-handed boat, which is also perfect for two small people. It has a relatively flat bottom, which makes for a stable platform (not too tippy) and a simple rig, which makes it easy to operate. It is the boat we use in our School Sports Program at the junior high and high school levels. This is also the perfect boat for older kids to sail and race for fun on their own. The International Sunfish Class Association is well established and is popular in the USA, South America and Caribbean. This is a boat for a sailor who has experience and is reasonably fit. There are three different size rigs (sails) for the boat; a 4.7 rig for sailors between 120 and 140 lbs., a Radial rig for those between 140 and 170 lbs. and a full rig for those between 170 and 200 lbs. The boat has a rounded hull and tall sophisticated rig, which makes it tippy and a bit more complicated than the Sunfish to sail. This is the boat to which our top Optimist sailors who ‘age-out’ and race-oriented Sunfish sailors evolve. It is this class in which our most advanced junior sailors complete. The International Laser Class Association is one of the largest sailboat classes in the world and its Full Rig is raced in the Olympics. This is a very sophisticated two-person 14 ft. dinghy with spinnaker and trapeze. It is one of the boats our top Optimist sailors race and move towhen they age out of the Optimist and are too light for the Laser. The optimum combined crew weight is between 220 lbs. and 300 lbs. This is the introductory junior boat for the 470, which is Olympic class. The class association is well established internationally and is extremely supportive of expanding their fleets throughout the world. The class is now over 50 years old and over 50,000 boats exist world-wide. This is a two-person dinghy raced mainly by adults. It is 15.5 ft long, weighs 381 lbs. and carries a main and jib. 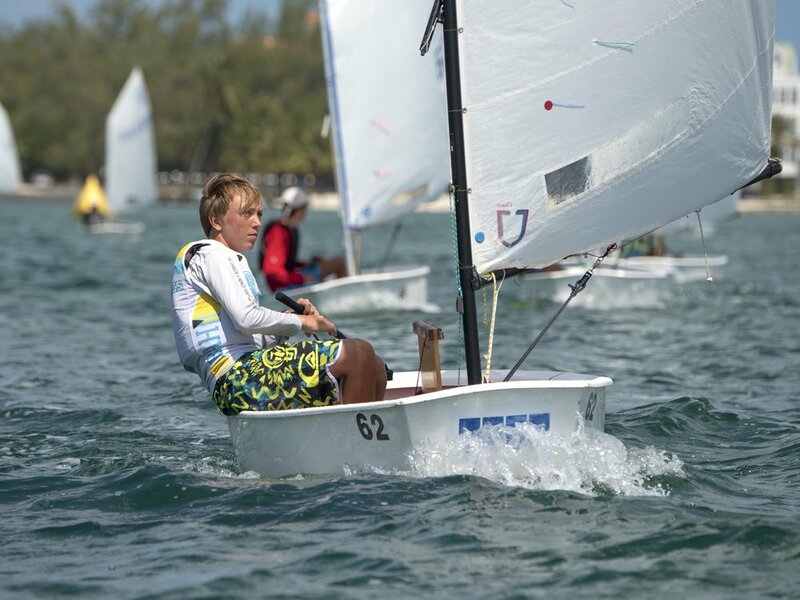 The fleet is resident at the Royal Nassau Sailing Club (RNSC) and is raced locally as well as internationally. It also hosts a major international event each year in March. 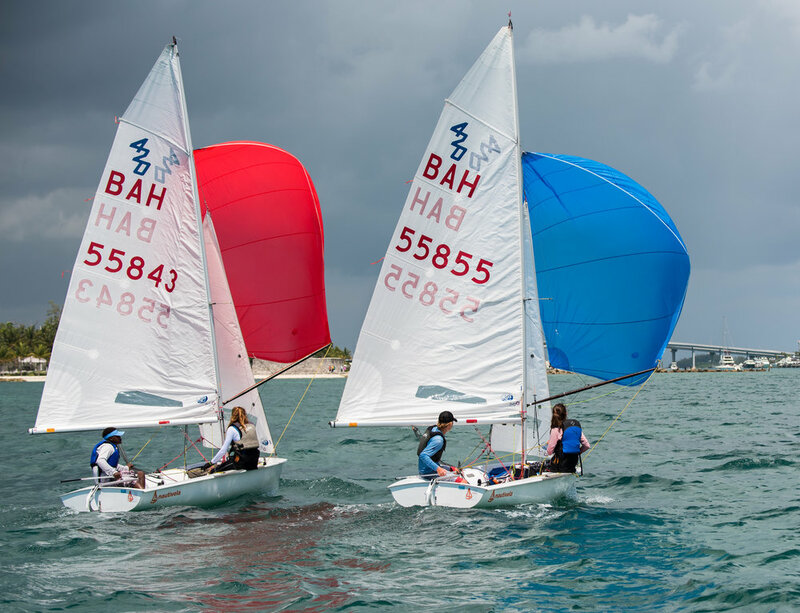 As a way of encouraging junior sailors to participate in the class and gain more experience racing they are often invited to crew with one of the Snipe owners. There is also an annual Snipe Junior Championship held at RNSC in which our more experienced juniors participate. Over 30,800 Snipes have been registered by the Snipe Class International Racing Association (SCIRA) in thirty countries around the world — making it one of the largest and oldest one-design classes in the world. This is a 22 ft. keelboat that draws about 4 ft. and carries a main, jib and spinnaker. It is normally sailed by three or four persons and is the boat we use for teaching adults to sail. The J/22 International Class Association is in nine countries and actively raced in USA, Canada and parts of the Caribbean as well as Europe.